4k00:25PORTSMOUTH, UK 23 JULY, 2016: The America's Cup qualifying series - Team New Zealand heels and lifts one hull clear of the water. hd00:10PORTOROSE - APR 07: Close up on sailors on sailboat getting ready for competition. 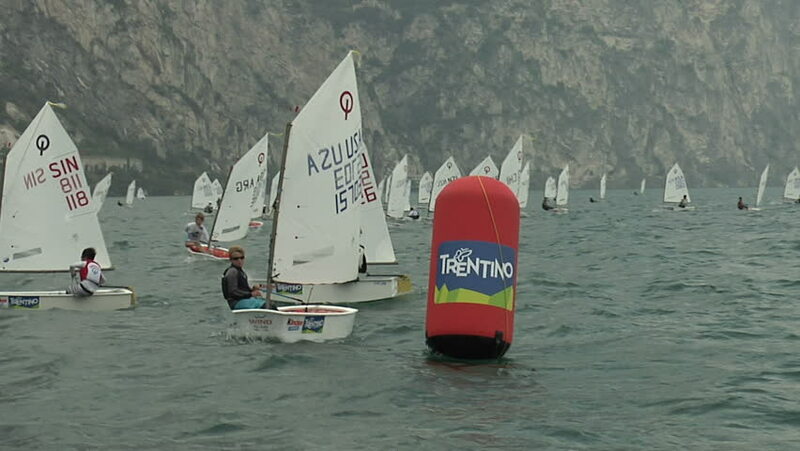 Sailing competition in Slovenia, Portorose in 2013.